Its the end of the summer and the campers and tourists are leaving. We're glad to have you but happy to see you go! 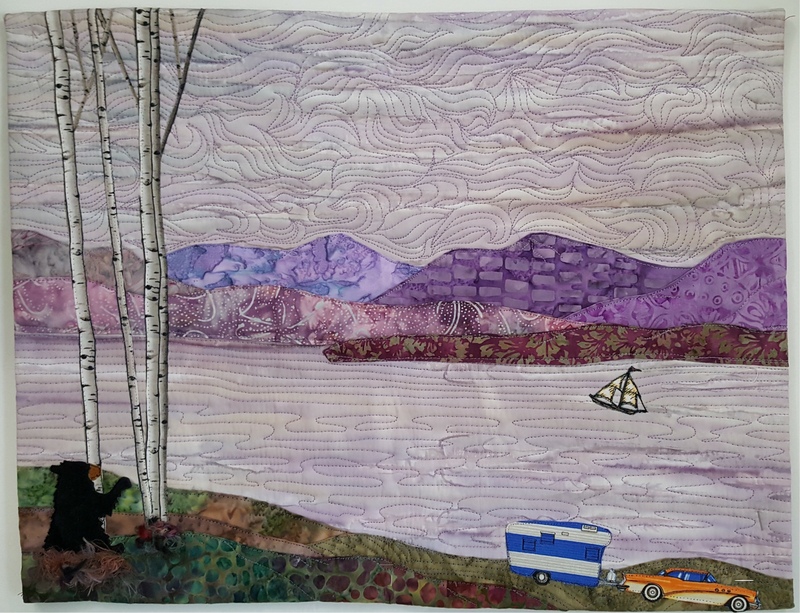 This is the one I showed you the back of last week - the sailboat, car/camper and birches are cut from commercial printed fabrics and fused down then quilted. 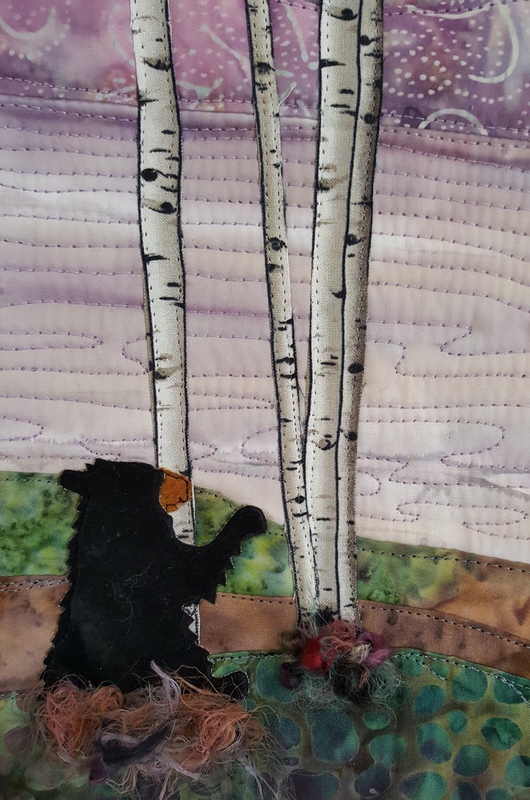 The bear is from an old McKenna Ryan pattern. I just love that lavender sky! 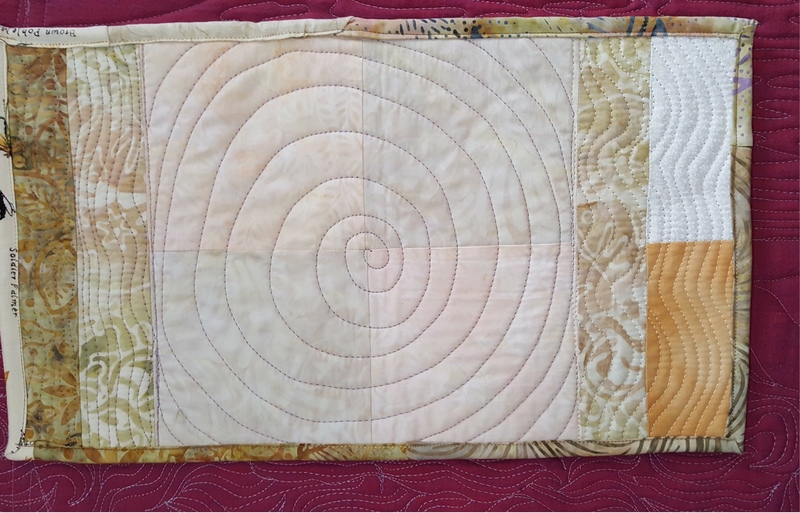 Well Here is something finished - a mug rug from scraps and practice quilting. At least one of these will be finished to show next week - promise. I also wanted to recommend a podcast that i listened to this week. 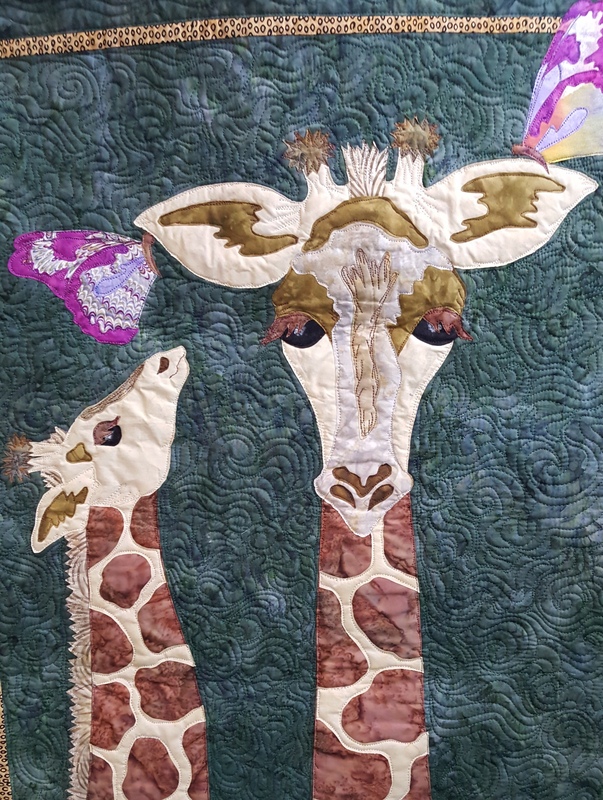 Its an interview on the new zealand quilt show with Lisa Call. 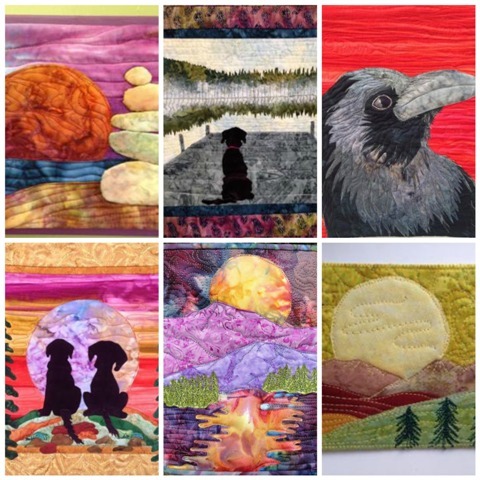 Lisa is a full time textile artist. She has inspired me to try to start a sketchbook. I finally finished this! It's taken much longer than it should have, more than a month now. Maybe because it's a purchased pattern and I dont usually follow directions but fly solo by the of seat of my pants. Maybe its because I used the colors that the pattern cover had so I knew what it would look like so had no reason to keep at it to see what it will look like when finished because I already knew? Phew! Long sentence but you know what I mean, right? 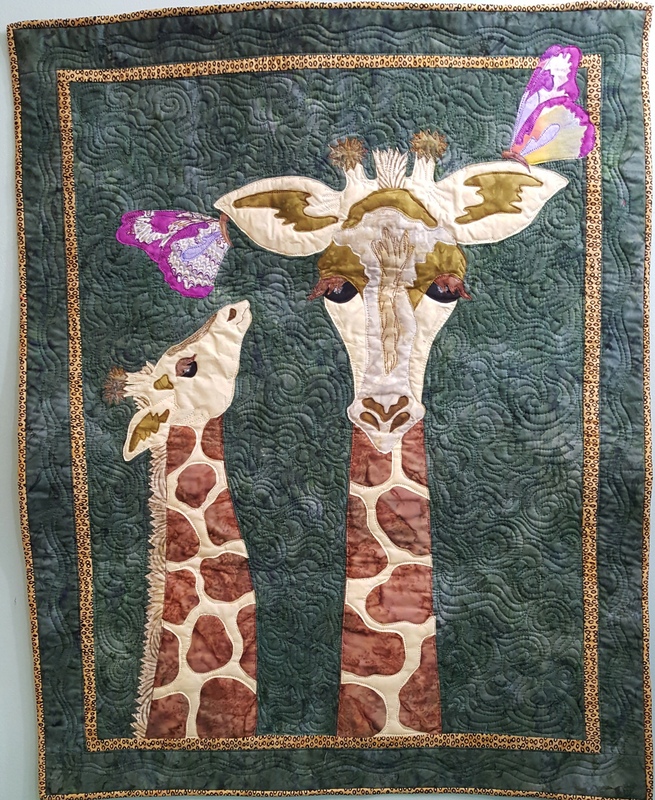 Anyway it is a cool eyecatching pattern that really caught my eye in a booth at a quilt show. The pattern is by Sandy Fitzpatrick called my favorite earrings. 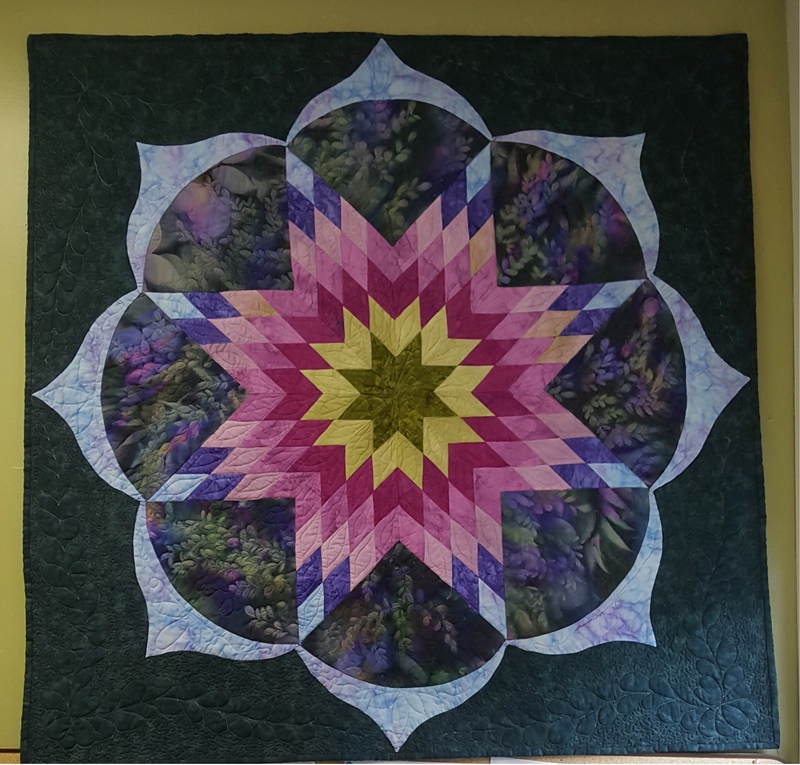 Of course I had to quilt the background heavily so that took awhile but I am binge watching a show called A place to call home which I am obsessed with at the moment and so watched that while quilting this. If you liked Downton Abbey you will love this. Its better. 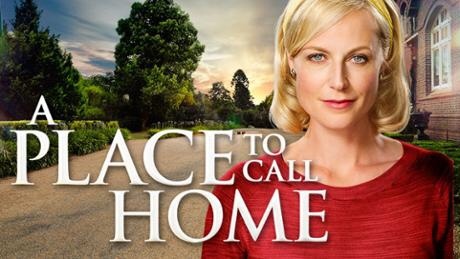 Takes place in the early 1950's and it beautifully made with lots of family secrets and lies, twists and turns. It airs on pbs and netflix or hulu doesnt have it but you can get it through acorn tv . its free for the first week and then is 8 bucks a month or something and you can cancel anytime. Its like netflix and they have all 4 seasons. I highly recommend. 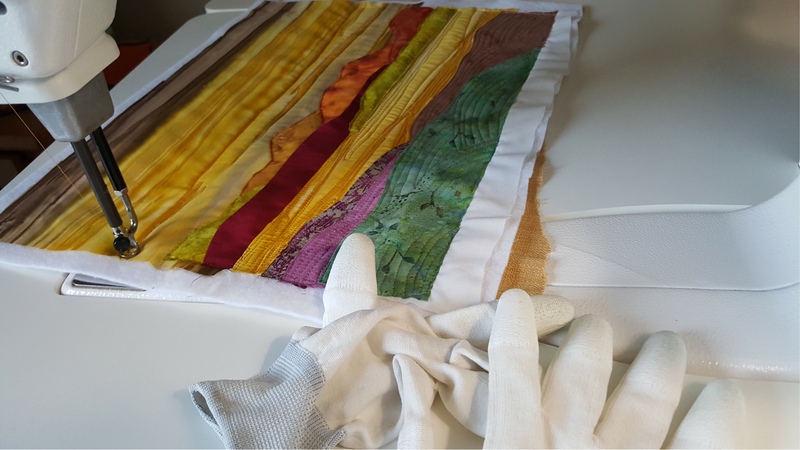 Before you tube, craftsy, blogs and all the online ways of learning, there was sewing with Nancy. 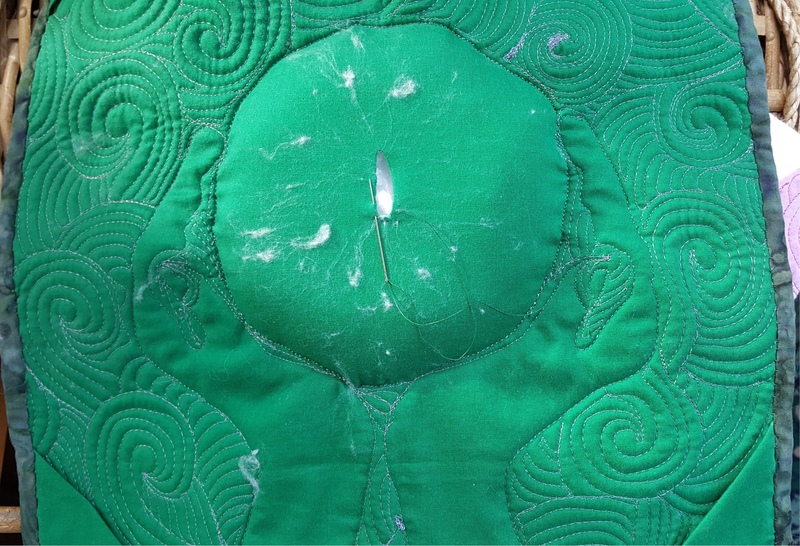 She taught us how to sew and became our friend. 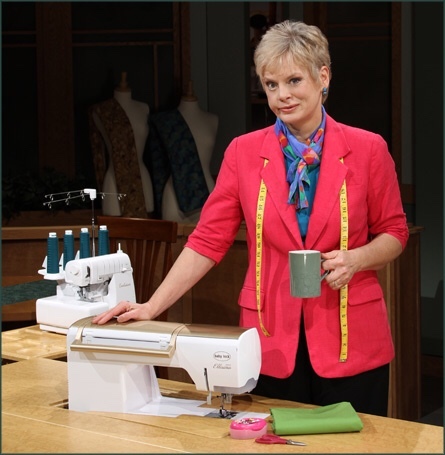 Her program is by far the longest running sewing series on tv and still on PBS today started in 1982 - 36 seasons recorded! She also started a sewing supply mail order company called Nancys Notions back when you actually ordered and recieved stuff thru the mail! Recently Nancy announced that she will be retiring due to health issues. Read about it here on her blog. 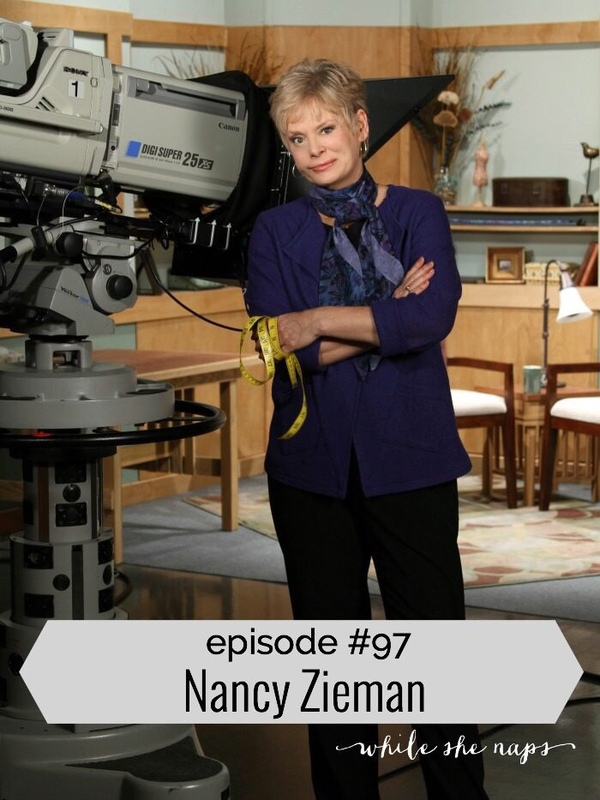 If you are interested in hearing a really good interview with Nancy go to While She naps and listen to the podcast interview here. I highly recommend it as she talks about how she started out back in 1979 with Nancys notions and dealing with various hurdles along the way. You will leave with a huge admiration for the woman as I do. 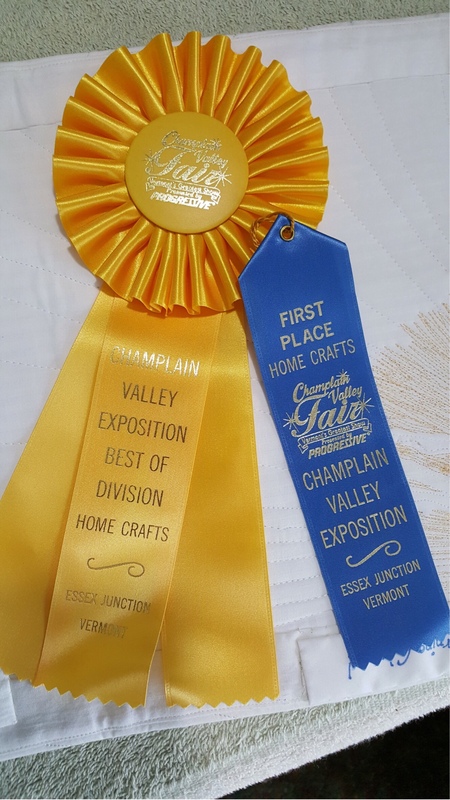 On a higher note, the champlain valley fair was last week and both me and my mom both won one of these! 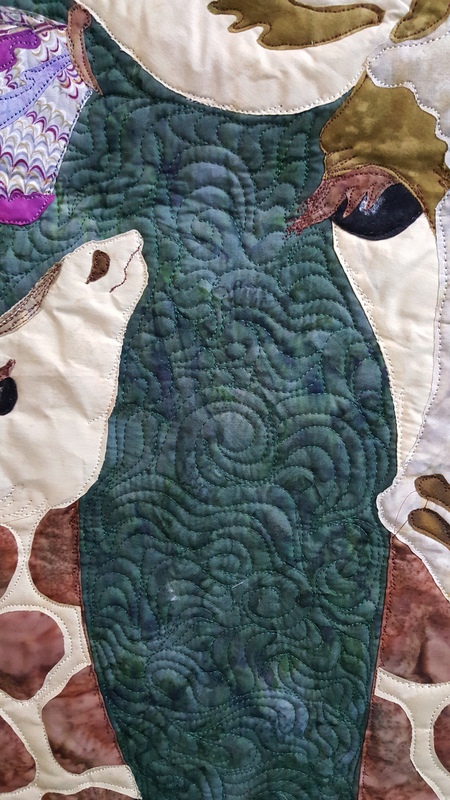 My mom for this beautiful lone star quilt - best pieced workmanship. 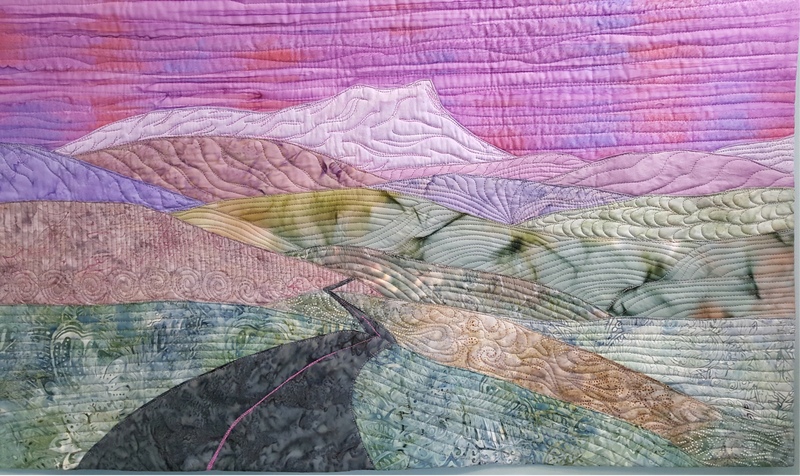 And me for my camels hump landscape - best machine quilting. we each won a whopping 20 bucks 👀 But then its not about the money its all about the glory, right? 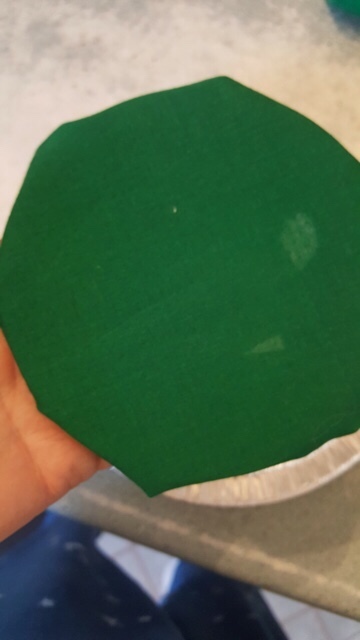 I've seen people do pour painting on canvas or plastic so of of course I want to try it on fabric. I taped fabric on a plastic lid hoping to make it easier to turn to make the paint flow. 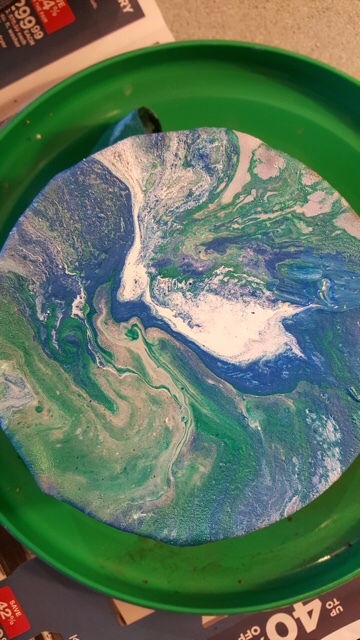 Now the people that do this alot use a product callled paint flow (or something like that) but this may be a one time thing so i found the cheap way to try it. 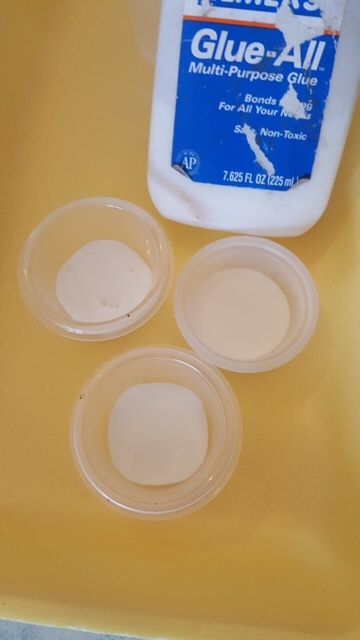 You can use Elmers glue, so elmers is poured in 3 small plastic cups. Then paint is added. 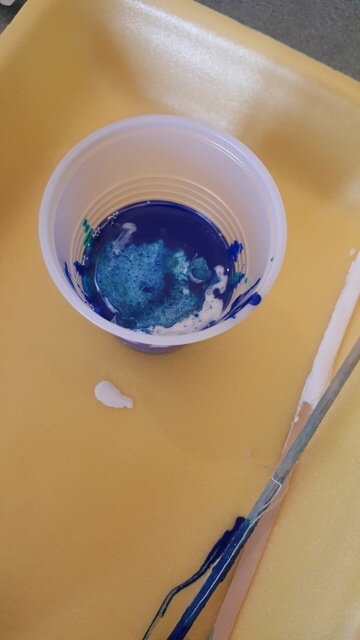 They also say to add a bit of liquid silicone which is a lubricant that is supposed to create cell like bubbles. 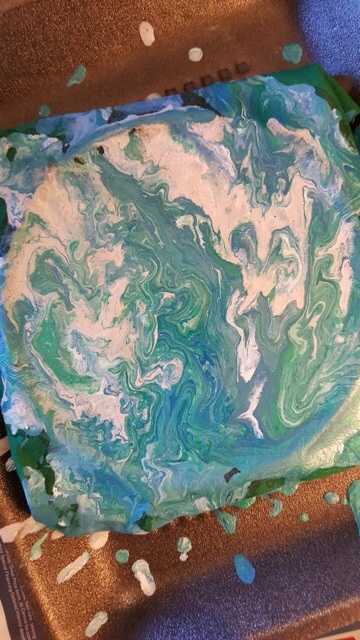 I added it but didnt see any cells. 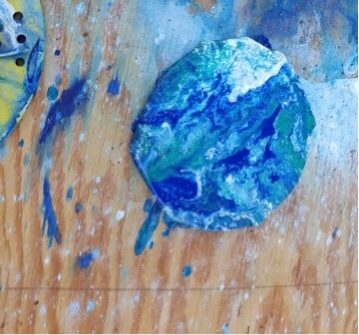 Then one at a time pour the paint into a bigger cup kind of like in layers. Then just dump it on the fabric. 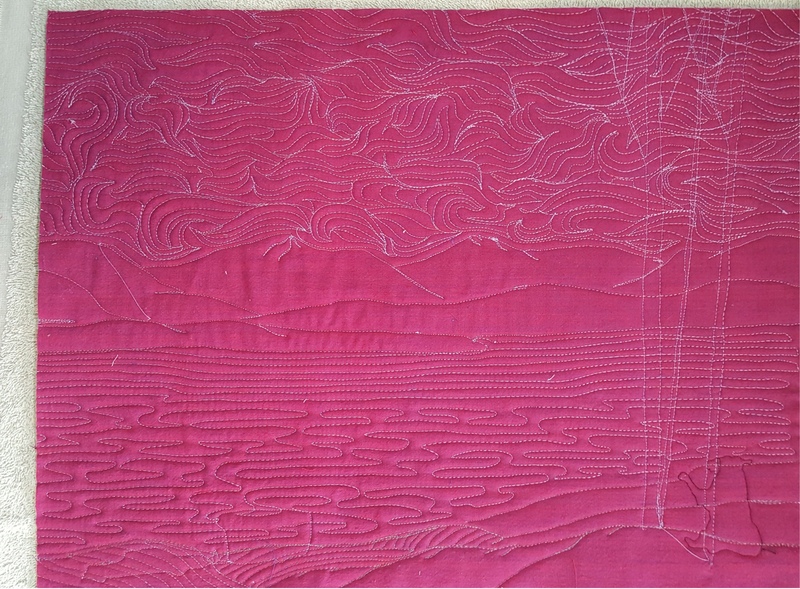 Its really thick so you turn the fabric so it flows and mixes sort of like a lava flow. Stop when you like what it looks like. After it dried though there are alot of sort of nubby - ness. 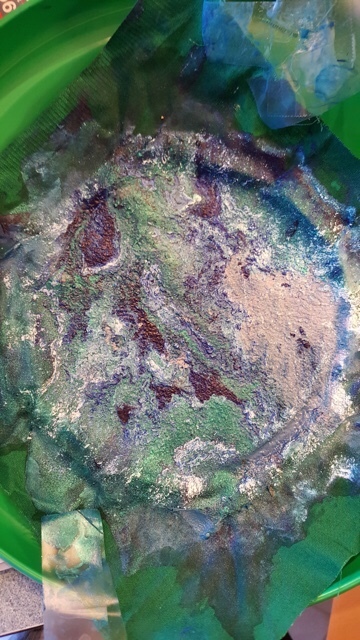 Probablly caused from the paint absorbing into the fabric. 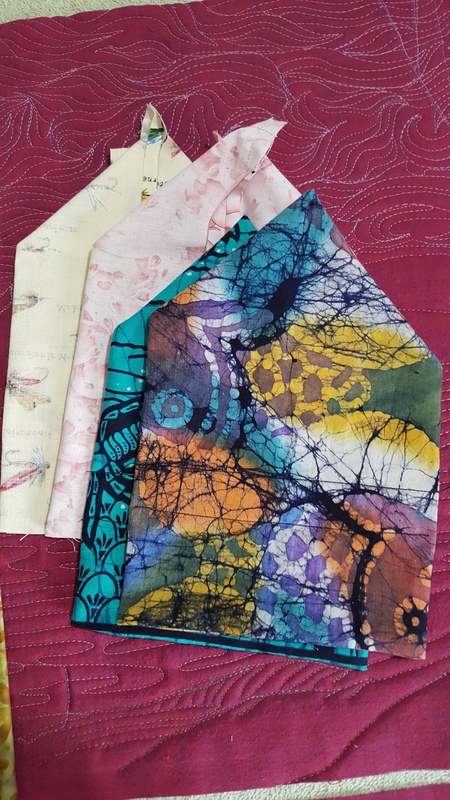 So last night i tried ironing fusible web on the fabric first. Then i found some all purpose sealer and painted that on first and let it dry. Then did the same process as before. 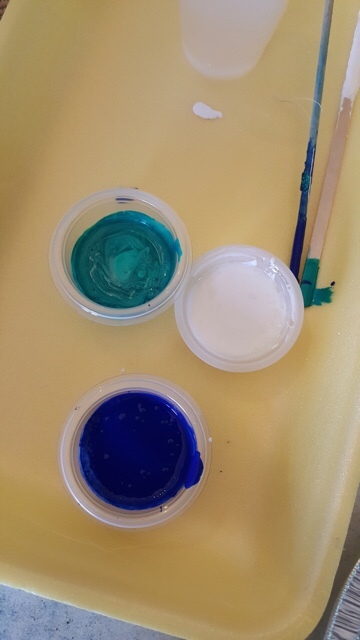 This morning it is not dry since the paint is so thick but the results are much better. Now i just have to see if i can get the fabric off the plastic lid since i poured elmers glue all over it.